If you are in the Austin, Texas area and you have suffered a major hard drive failure, let the experts at ACS Data Recovery help you get your data back. We are one of the very few companies in Texas that actually do all of their own recovery work in-house. We never outsource. We provide hard drive and RAID data recovery services to the Austin, Texas area. ACS Data Recovery is located just north of Austin, and provides a local option for qualified, professional data recovery. We are a Texas data recovery company located just north of Austin in Temple. Being so close to Austin, we find that we are the one and only choice for data recovery services for some of the most prominent businesses in the area. We specialize in every level of data recovery. From logical issues to complex mechanical failures, we have the skills, tools and experience necessary. Don’t trust your critical data to companies that may be nothing more than a pretty store front. Most so-called data recovery companies are nothing more than resellers of top tier data recovery corporations. We however, are able to perform all of our recovery work in-house with our own Class-100 clean room, and a large stock of parts and supplies. Don’t just send your valuable data somewhere so that it can be experimented with, make sure you choose a data recovery firm with a proven track record, a long list of satisfied customers, and the experience necessary to get your data back. 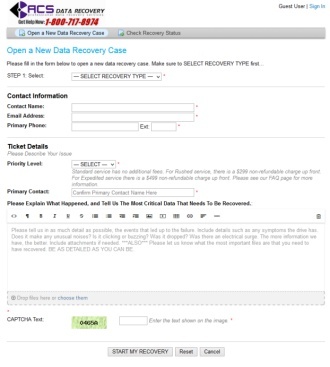 We are also one of the only data recovery companies in Central Texas to specialize in complex RAID data recovery. We can recover data on RAID 0 (striped sets) and RAID 1 (mirrored sets) configurations. Our RAID specialty however is the more complex RAID 5 and RAID 6 arrays. We have multi-terabyte storage servers for large RAID jobs, and we are able to complete most RAID recoveries within 5 business days or less. Many of our expedited RAID jobs are completed in as little as 1 business day! If your data is important, call us today at 1-800-717-8974. We serve many clients in the Austin, Texas area and we will be happy to serve you too. 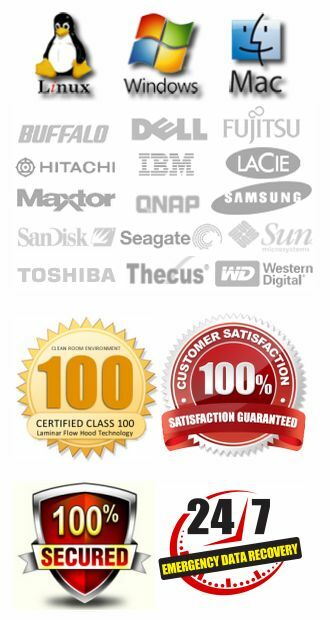 All of our data recovery work is backed by a 100% customer satisfaction guarantee. If we are unable to recover the data you are looking for there is no charge, and we never charge evaluation fees. With that kind of guarantee, you really have nothing to lose and everything to gain.